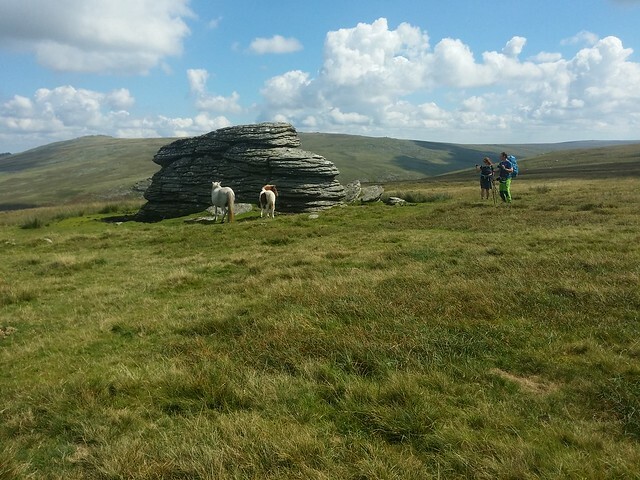 It was the third day of an August Bank Holiday weekend; we had just spent the previous two days hiking from Okehampton to Fur Tor and back so nothing too strenuous was the order of the day. 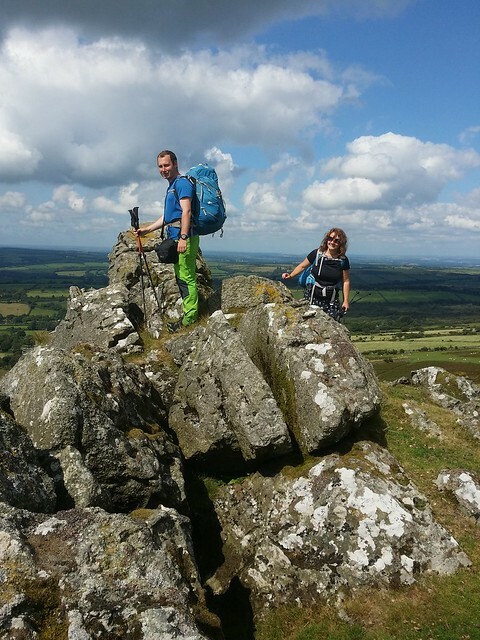 With the intention of throwing in a number of unvisited tors for my companions, Rich and Cath, we had to keep in mind that they both had trains to catch in Exeter late that afternoon. 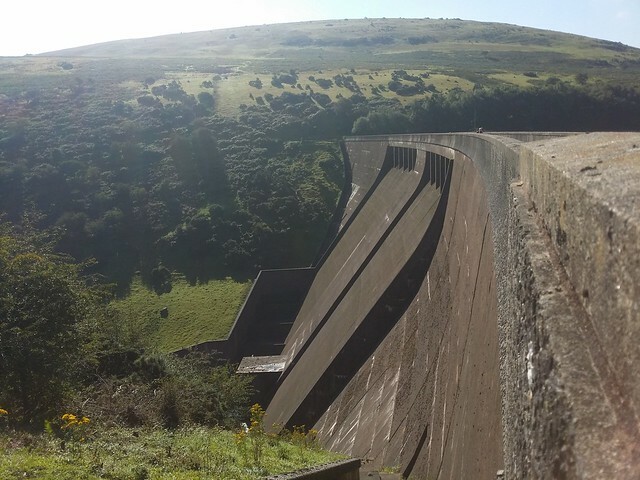 I chose Meldon Reservoir, and very glad I did! 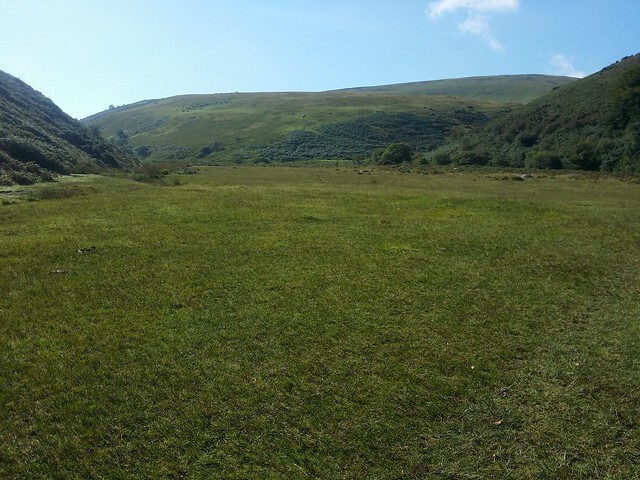 Today, the weather was perfect and I have to say it made the walk one of the more pleasurable I have had on Dartmoor. The reservoir was looking gorgeous and Vellake Corner was a dry pristine lawn when we reached it. Whilst Vellake Corner looks perfect for wild camping, being a flood plain, it is prone to getting wet and you would be wise to check the weather forecast before pitching here. 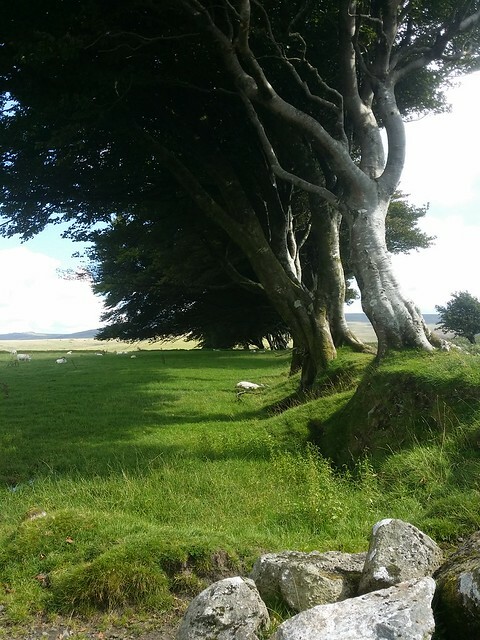 There are plenty of other options up here that follow the National Park wildcamping guidelines. We crossed the West Okement and took the footpath south-west above the stream, into the amphitheatre like bowl below Corn Ridge, which is one such place. It's a fine spot and I always love returning here. It is then just a short climb up to Shelstone Tor. Shelstone Tor has a dramatic view of the West Okement valley. Sitting high above the west bank of the river, and north-west of Black-a-Tor Copse, you can see right up the valley, as far as Lints Tor. You also look across the valley to Black Tor, and High Willhays, Hampster and Yes Tors. 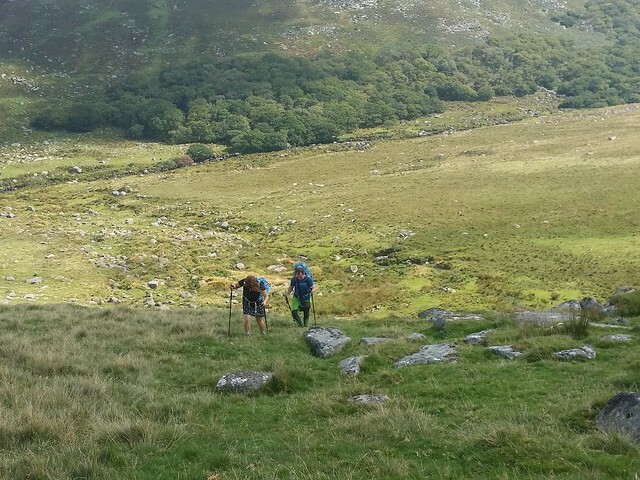 The numerous granite outcrops make it possible to find shelter from any wind direction, and we all agreed it was a cracking spot to camp in the future. Being we were so close, I guided Cath and Rich down to the valley floor, in search of the Slipper Stones. I mentioned they might be underwhelmed by the bag, as I was when I first visited, but on such a beautiful day I have changed my mind! When I first visited Slipper Stones, I took it that the rocks scattered across the valley side were the remnants of a glacial moraine. 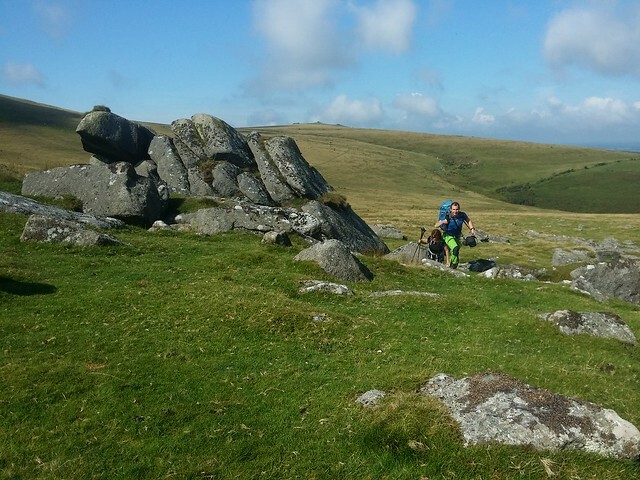 Significant proof that the frozen glaciers of the Ice Age reached as far south of Dartmoor. I've since learnt that the name refers to the polished sides of the valley, where there is evidence of granite smoothed by the ice. Even if the find is lacking in grandeur, spend some time here, take in the surroundings and you'll fall in love with the place as I did. 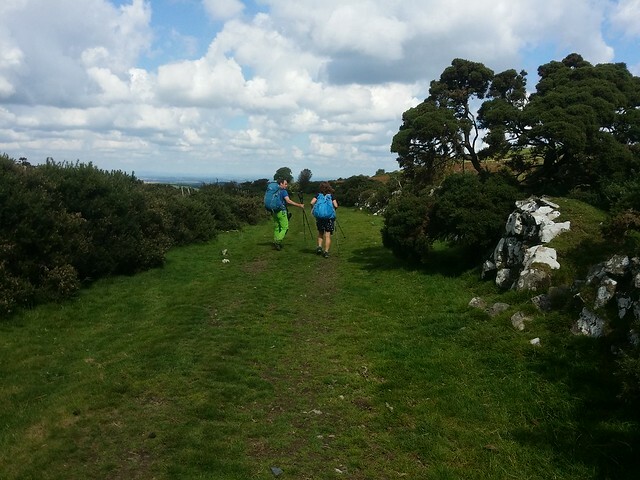 We dragged ourselves away, bound now for Corn Ridge. 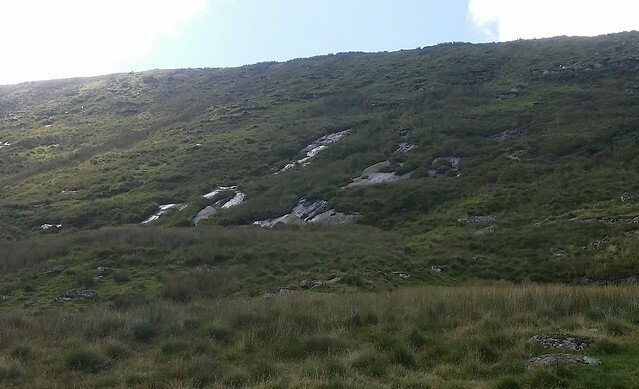 I chose a higher route back along the valley, climbing when we could and this provided an encounter with a section of ground littered with holes hidden by bracken and a stream that flowed beneath the surface. It made for nervous tread and we were all relieved when we made it safely across. The slog up Corn Ridge is rewarded when you reach Branscombe's Loaf. 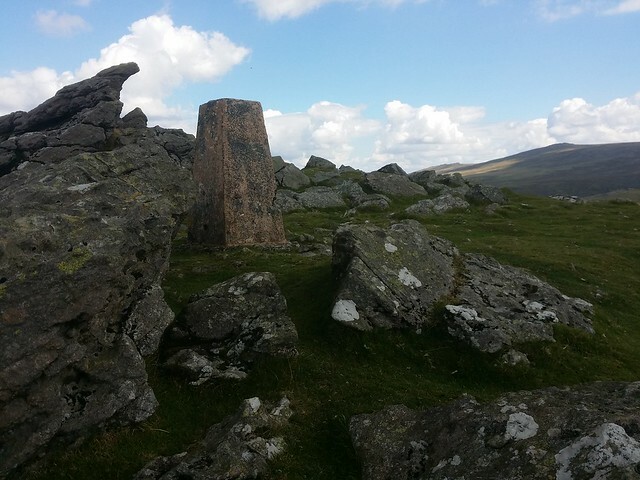 A single outcrop with a large cairn nearby. Heading eastwards, we could soon see the collection of outcrops known as Sourton Tors. 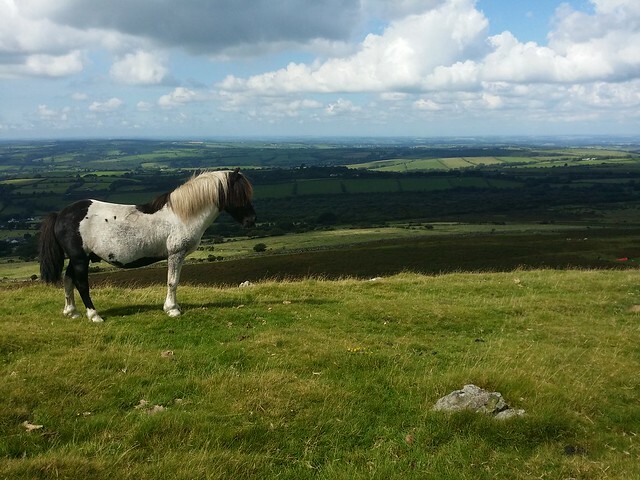 Once reached, we took a break, enjoying the view of West Devon and Bodmin Moor beyond. On a good day, such as this, it is possible to see as far as the large satellite dishes near Bude, on the Cornish coast. We dropped down to East Tor. Some debate as to why this outcrop has been singled out to have its own name, when the rest are grouped as Sourton Tors. 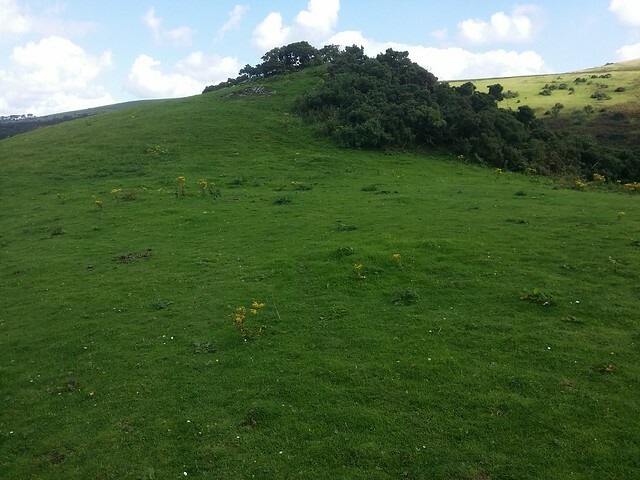 Phil Sorrell reckons that it is a mistake in Ken Ringwood's book, and "East Tor" on the Ordnance Survey map is reference to the name of the farm below (the tors being East of the farm). 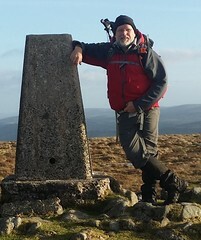 Time to head back now, north-east to pick up the Two Castle Trail / West Devon Way. Along a pretty, well lawned bridleway. We veered right, leaving the two trails, on another bridleway around South Down before dropping down to the Meldon Reservoir car park. 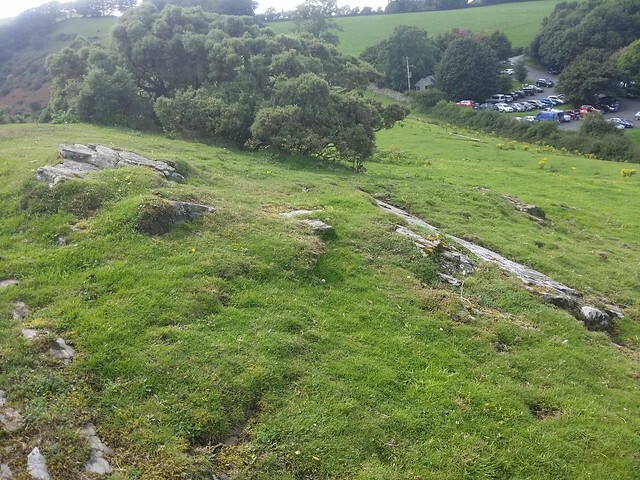 But before we did, I could see an unnamed outcrop, that I have called South Down Northern Spur, on the hill east of the car park and I wanted to take a look at it. 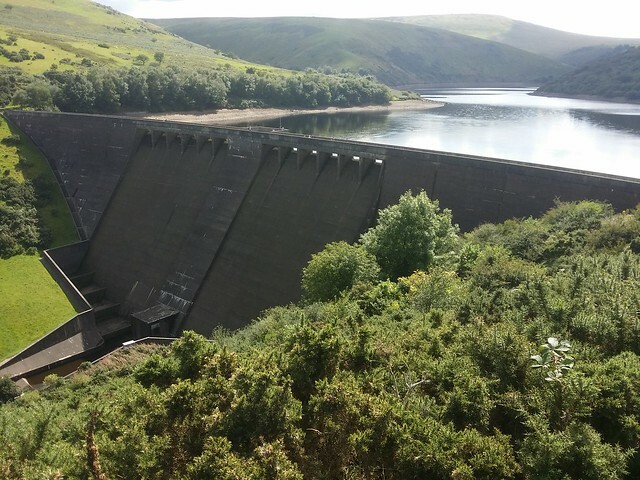 Whilst, as an outcrop, it isn't that exciting, it has a top view of the Meldon Dam and isn't that far out of your way to visit. There is a more impressive inaccessible outcrop further down the gorge. Returning to the car, we had time to pop into Okehampton for late lunch at the station cafe. The end of a top weekend! 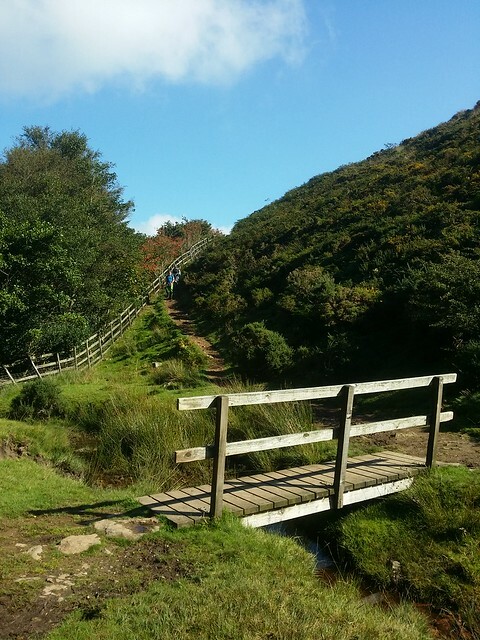 A great circular walk in perfect conditions.